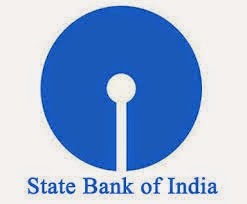 SBI PO Recruitment 2015: The State Bank of India has been declared the notification for Probationary Officers recruitment in 2015 by the central recruitment and promotion department of the State Bank of India. The candidate should be filling the online application before May 2. The eligible and interested candidate must have the scanned photograph and scanned signature. Then you have to upload the recent photograph. Many of the candidates waiting for this SBI PO recruitment 2015.The application and intimation fees for the SC/ST/PWD candidate pay Rs 100/-(Intimation charges only) and general and other (BC, MBC) candidates is Rs 600/-. This is your time to apply online now and get the details of notification below. Candidates should be not below the 21 years and not more than 30 years as on 01-04-2015 (Candidate must be born between 02-04-1985 and 01-04-1994). The age relaxation available for the candidate as per the rule. These recruitment, selection based on the online written test (Phase I and Phase II) and Group Discussion. The candidate who is cleared those round calls for direct interview.